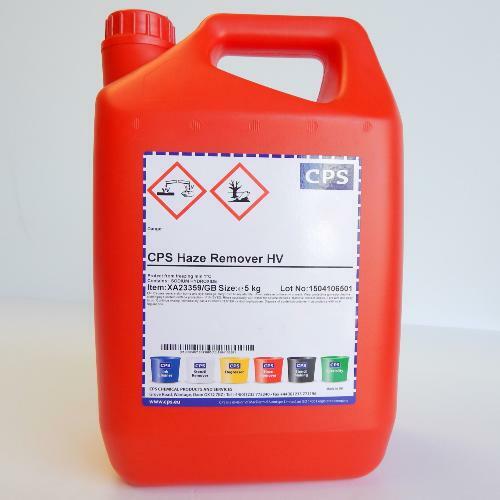 This premium high viscous Haze Remover HV from CPS is a safer alternative to the 'traditional' high caustic haze removers that are and have been used in the market. CPS Haze Remover HV is a low caustic ink, emulsion and diazo stain remover gel. The low caustic level is safer for operators and ensures that the mesh isn't damaged during use. The gelled structure makes this cleaning process very sustainable as it minimises the amount of product that is lost down the drain during application with a brush or preferably a coating trough. Haze remover HV Should not be force-dried in excess of 35°C as this can cause damage to the mesh. Please note that Standard screen wash products can also react with CPS Haze Remover HV, as well as any type of caustic based stain remover. In some cases the mixture can heat up and could damage the screen mesh.